Dino Dogan is the CEO of Triberr, a SaaS solution that makes media buying in blogs, podcasts, and videos easy, scalable, and effective. His past exploits as a network engineer led him to working with people and then towards his company Triberr. Triberr distributes content thereby hitting the most important success indicators, like number of shares, traffic, and engagement. 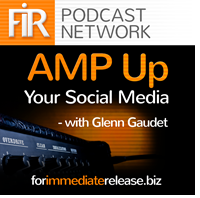 Dino recently joined AMP UP Your Social Media’s host Glenn Gaudet to discuss content marketing on social media. Search engine optimization is big. SEO works for transactional-type interactions. For instance, Google can filter results to what folks are looking for. But if you want to set up an ecosystem around your brand, then it’s a completely different ballgame. Bogging gets people to take interest. Users are drawn to groups (or ‘tribes’ like Triberr) the same as they would be in real life. Blog often, share others’ posts, and comment to get the group engaged and magnetic. 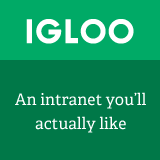 Get employees engaged. Utilizing your employees can help fill the void in creating groups of people to talk about any given subject. They help get the ball rolling to successful social media campaigns. Keep learning every day. Blogging is an evolving part of social media, and stay open to learning new tactics as the market changes. Keep in mind that many things will stay the same as well! Own your blog. It’s great to have a social media presence, but make sure that your content goes back to your site because you own and control that. For Facebook, Twitter, LinkedIn, etc, you’re merely ‘renting’ that space. Dino Dogan is a recent US Citizen from Bosnia. In his spare time, he dabbles in mixed martial arts as well as singing and songwriting. He has a Bachelor’s Degree in Theological Studies from the University of Sarajevo and has also touched interests in dog training as well as psychology. He funnels his interests into different blogs—all of which can be found online! Dino would love to hear from you! Connect with him on LinkedIn or Twitter or dinodogan.com.